A tech Company DRKHORS will be releasing Kate Middleton and Meghan Markle emoji apps soon. The new KateMojis and MeghanMojis will feature Meg and Kate in a range of outfits, with cheeky tag lines relevant to their lives. The emoji apps will be sold separately for £1.41 each when launched. 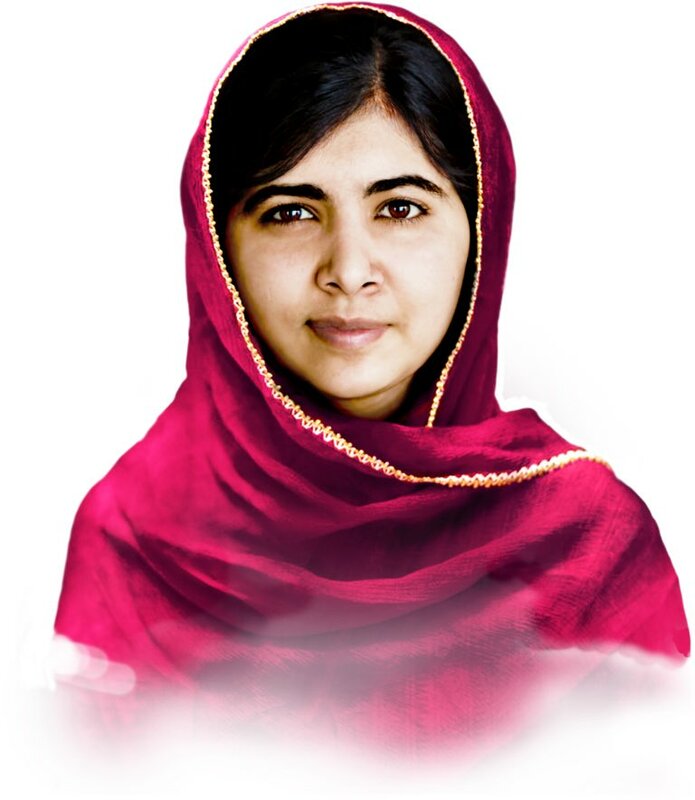 Malala Yousafzai has returned to Pakistan. The 20-year-old Nobel Peace Prize winner arrived Thursday at Islamabad's Benazir Bhutto International Airport, leaving in a convoy of vehicles and armed guards. Later, she was honored by Prime Minister Shahid Khaqan Abbasi. This is her first time of returning to Pakistan since she was shot at age 15 in a school bus by Taliban militants for campaigning for female education in 2012. In an emotional speech at the prime minister's office, Malala said, it had been her dream to return "without any fear". "Always it has been my dream that I should go to Pakistan and there, in peace and without any fear, I can move on streets, I can meet people, I can talk to people,""God willing, Pakistan, the future of Pakistan lies in its people," "So, we should invest in education of these children." Her organization, the Malala Fund, was "already working on it," she said. "The Duchess of Cambridge is to become the first Royal Patron of the Victoria and Albert Museum. Furthering Her Royal Highness's interest in the visual arts, photography and design, she formally takes up the @V_and_A Patronage from today,"
“The V&A is the world’s leading museum of art, design, education and performance. “It was established to make works of art available to all and to inspire British designers and manufacturers." Congratulations to the Duchess of Cambridge. Statistics show that the typical person is going to change careers anywhere between 5 and 7 times in their life. If you think you’re ready to make that career change, job shadowing might be exactly what you need to do to put that to the test. Make a list of careers you’d be interested in pursuing and start looking for job shadowing opportunities. They’re helpful for a number of reasons, and you’ll be happy that you utilized them. Even if you think you’re positive you want to make a massive career change, you have no way of knowing exactly how it’s going to work out until you have a little bit of experience. Rather than going through a series of interviews or obtaining higher education to find a job in that field, shadow someone first. You could save yourself a lot of time and money if the end result is that the new career wasn’t the best idea after all. Most people don’t know how well they’ll fit in until they’ve been working somewhere for a few weeks. The insider perspective you’ll gain from job shadowing can help you make that determination much sooner. Maybe the work environment is more isolated than you’d prefer. Maybe you don’t get along with the people working there. If you’re a big communicator, you probably don’t want to work somewhere that keeps people confined to cubicles for a significant portion of the day. If it turns out that you’re passionate about the environment, this will only increase your drive to pursue the new career. You’re probably familiar with the “do you have any questions for me?” portion of an interview. It’s always a little awkward, because you might not know where to begin. Every moment you spend job shadowing can show you what you need to know in order to ask those questions. You can make an informed decision on a position based on the questions and answers that are exchanged throughout the shadowing process. Perhaps the job you’re shadowing requires a lot of phone skills, and you’re not a big fan of talking on the phone. You might want to work on that before you actively pursue a similar position. Maybe the job isn’t what you thought it would be at all, and you aren’t actually qualified for the position. You can go back to job boards to find something that matches your qualifications, or you can pursue the qualifications you’ll need if you still love the job. If your shadowing opportunity goes well and you’ve made an excellent impression, you might wind up with a path right into that position. If you don’t wind up with a job right away, you might wind up with an internship that can lead you to one. You don’t have to worry about starting from the ground up because you’ve already met the necessary people and studied their environment. It’s so much easier than tailoring your resume and crossing your fingers. You have everything to gain from job shadowing. If you network in the right industries or ask potential employers directly, you might be surprised to find how many opportunities are out there.